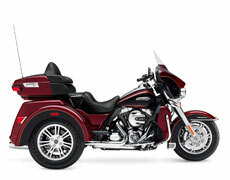 Best available insurance coverage and unlimted mileage is included! Whether you want to travel across the country or simply explore the area, a Harley Davidson allows you to hit the road and enjoy the "American Dream". 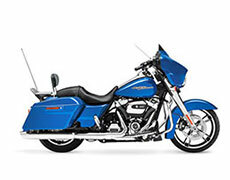 EagleRider is proud to offer a complete package of Motorcycles and services to meet your needs. 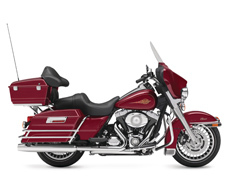 Helmets for a Driver and Passenger, saddlebags and security locks are included from all locations. A perfect fitting for the rental helmet cannot be guaranteed. We recommend that you bring your own helmet. The pick up date determines the pricing for the entire rental. 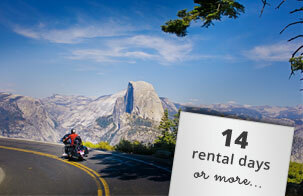 Rental prices are calculated based on 24 hour rental periods, starting with the pickup date and time of the vehicle. Even a slightly delayed vehicle return will result in late fees of USD 25 per hour. For rentals originating in Daytona Beach, Ft. Lauderdale, Miami, Jacksonville, Pensacola, Tampa, Fort Myers or Orlando during the time frame 09.03.-18.03.18 and/or 08.03. - 17.03.19 (Daytona Bike Week) and during the time frame 18.10. - 21.10.18 (Biketoberfest). During this event, there is also a 3 day minimum rental period. For rentals originating in Billings, Denver, Grand Junction, Jackson, Minneapolis or Salt Lake City during the time frame 06.08. - 12.08.18 (Sturgis Ralley). During this event, there is also a 5 day minimum rental period. For rentals originating in Washington D.C., Atlanta, Chicago, Minneapolis, Pittsburgh, Detroit, Milwaukee, Philadelphia, Nashville or Cleveland during the time frame 29.08. - 02.09.18 (115. 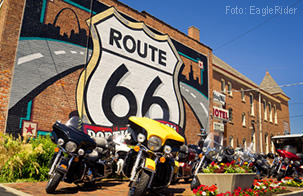 Birthday of Harley Davidson). ** 1 day consists of a 24 hour period starting at the noted pick-up time. 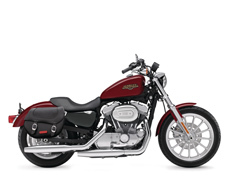 Attention: Dropping off a motorcycle even minutes late can lead to a late fee of at least US-$ 25 per hour. Last pick up at 16:30. After 16:30 transfers are not possible. Pick-up on the day of arrival from an international flight is not permitted! 21 Years of Age for Drivers. Additional drivers can be added at no additional cost and must be registered at the time of pick-up. Passengers must be at least 1.50 m tall. The transfer is included with rentals of at least 3 days or more. EagleRider will pick you up at all Airport and City Hotels within 7 miles (approx. 11.2 km) of the pick-up location. Please arrange your transfer after your arrival by phone. For rentals lasting less than 3 days, renters are responsible for their own transportation to the pick up location. A Class 1 or A drivers license is required! The "German" Class 1A, 2A drivers license is permitted only if it is indicated at the time of booking. The Collision Damage Waiver (CDW)/VIP is included in the rental price. The deductible is 2,000 US-$ per damage (including theft, tires and wheels, as well as towing expenses up to 100 US-$). The deductible will be refunded by HanseMerkur Reiseversicherung AG after your return and a proper claim being filed for reimbursement. In addition to the Basic Liabitlity Insurance, a Supplemental Liability Insurance in the amount of 1 Million Euro is included. 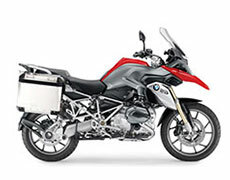 Damage done to the rented motorcycle is generally the responsibility of the renter. This includes theft and vandalism. In order to protect customers from this liability, an insurance is included in the price which reduces the liability of the renter to a deductible of US$ 2,000 (included in the PLUS package). In order for the insurance to remain active, strict adherence to the rental terms and conditions of the rental agreement is required. The procedure in case of an accident must also be adhered to, which includes the immediate notification of police and rental car company in an accident including another driver. Also, the driving limitations must be followed. You must request a final bill for the damage repair, which may not be available until after your departure. Damage due to reckless driving, drunk driving, or loss of consciousness due to medication or drugs. 750 US-$, made at the time of pick-up using a major credit card (no Debit- or Prepaidcard). The credit card will be pre-authorized and there will be a hold on this amount, however the card will not be charged for this amount. One-Way rentals are possible between all locations upon request. All costs are to be paid at the rental location and are subject to local taxes. Sending luggage to the drop-off location using FedEx can be arranged by EagleRider on location (Fees apply). -Driving on gravel roads, beaches, and non-public roads. 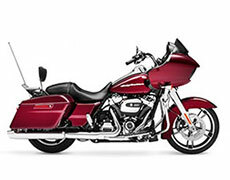 -Traveling to Mexico is only permitted with the expressed written consent of EagleRider. Failure to obey will void insurance coverage. 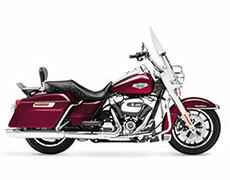 EagleRider reserves the right to substitute the motorcycle confirmed to rental client. 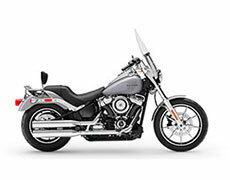 Should EagleRider not be able to provide confirmed motorcycle a similar or better model will be provided to the client. 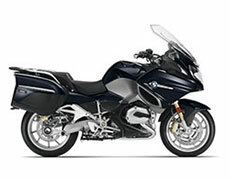 For an additional fee, you can guarantee your Motorcylce Make and Model. If you choose this option, the tour operator will request the specific model to check for availability. If your model is not available we will contact you with further options or the option to cancel the reservation. All noted fees and insurance coverage/terms reflect current conditions and these are subject to change without notice during the season. All amounts to be paid on location are subject to sales taxes. For alterations made to existing reservations less than 30 days prior to pick up, the existing reservation will be cancelled (fees apply) and a new booking will be made. 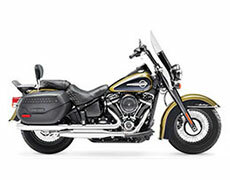 For rentals originating in Daytona Beach, Ft. Lauderdale, Miami, Jacksonville, Pensacola, Tampa, Fort Myers or Orlando during the time frame 06.03.-15.03.20 (Daytona Bike Week) and during the time frame 17.10. - 20.10.19 (Biketoberfest). For rentals originating in Billings, Denver, Grand Junction, Jackson, Minneapolis, Sturigs, Rapid City or Salt Lake City during the time frame 02.08. - 11.08.19 (Sturgis Ralley). For rentals originating in Phoenix, Flagstaff and Scottsdale during the time frame 11.04. - 15.04.19 (Arizona Bike Week). An additional liability insurance is included in your reservation providing coverage of the renter and all registered additional drivers up to EUR 10 mio. against third party claims for property damage and injuries. The deductible will be reimbursed by the HanseMerkur Reiseversicherung AG when you return home. In order for the insurance to remain active, strict adherence to the rental terms and conditions of the rental agreement is required. The procedure in case of an accident must also be adhered to, which includes the immediate notification of police and rental car company in an accident including another driver. Also, the driving limitations must be followed. 750 US-$, made at the time of pick-up using a major credit card (no Debit- or Prepaidcard). The credit card will be pre-authorized and there will be a hold on this amount. Exception: For Trike and Slingshot rentals, special One-Way Fees apply on request. Sending luggage to the drop-off location using FedEx can be arranged by EagleRider on location (Fees apply). -Driving through Death Valley between June and August at your own risk, no insurance coverage will be provided. When booking a rental car through our site, you can cancel your reservation until 48 hours before pick up – free of charge. Cancellations must be received during our regular business hours. For later cancellations, the terms and conditions of the tour operator apply. Taking a trip with a motorhome still is the most popular way to see the United States. 1 Deductible Reimbursement: The USD 2,000 - 5,000 deductible paid on location in case of an accident will be reimbursed by HanseMerkur Reiseversicherung AG. Detailed information can be found in the Rental Terms and Conditions.